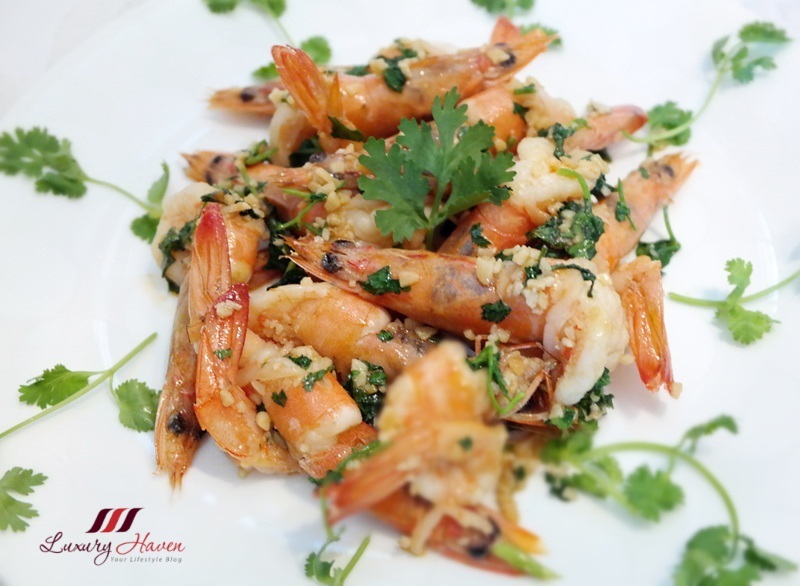 The scent of the garlic sautéing in butter and olive oil as fresh prawns danced merrily with parsley herbs, it's simple cooking at its best! The garlicky taste of the shellfish, coupled with a drizzle of lemon juice, simply whets one's appetite and excites the palate. 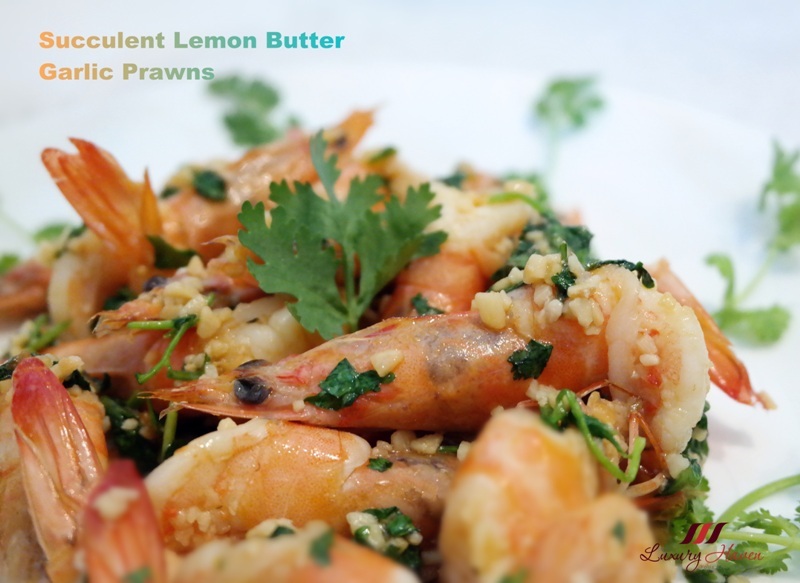 Try cooking these yummy Lemon Butter Garlic Prawns now! 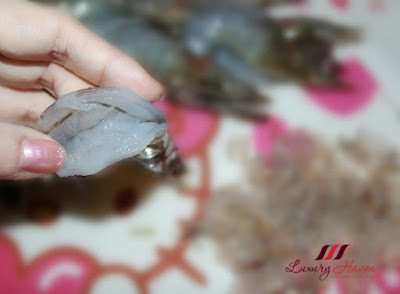 I got these medium-sized Grey Prawns ( 灰虾 ), SGD 9.60 for 500g, from PurelyFresh Online Grocery Store. There were about 20 prawns in the tray. 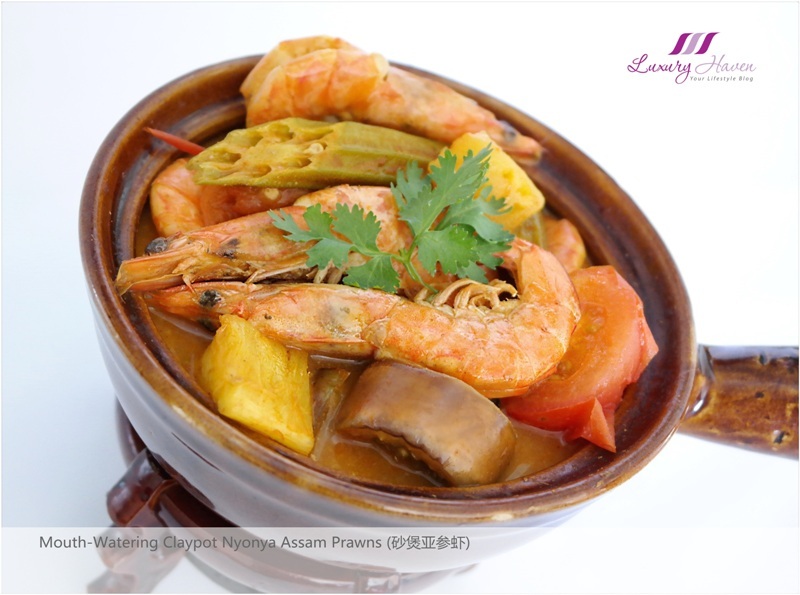 If you recalled, I made these mouth-watering Nyonya Assam Prawns In Claypot ( 砂煲亚参虾 ) using half the tray of shellfish from #PurelyFresh. The other half was used to make these inviting Lemon Butter Garlic Prawns. This is another easy-to-do dish for those who are new in the kitchen. Remove shells and whiskers. Devein prawns and rinse thoroughly. 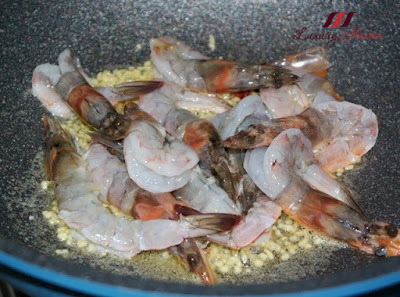 To achieve a crunchy texture, soak prawns in chilled baking soda mixture for at least 30 minutes, then rinse thoroughly. 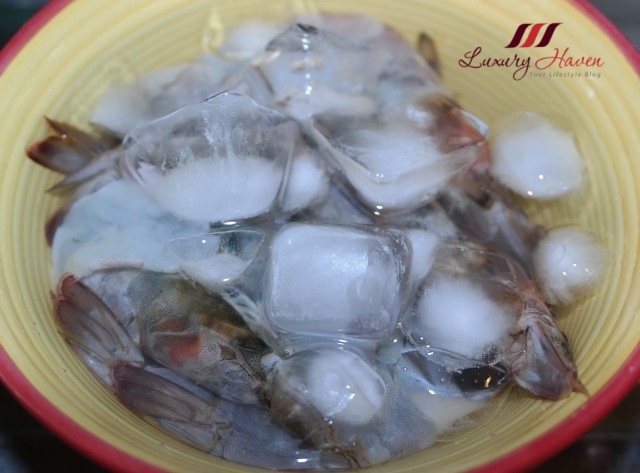 You can also massage the prawns with baking soda and rinse it off after about 30 minutes. Heat oil and butter, sauté garlic till fragrant and add prawns. Stir fry shellfish till they turn pink. Turn off fire and add chopped parsley and lemon juice. 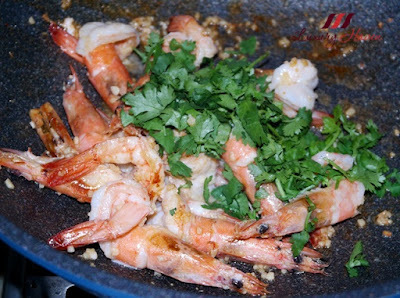 Prawn are my favorite and this recipe I will love to try looks delicious. 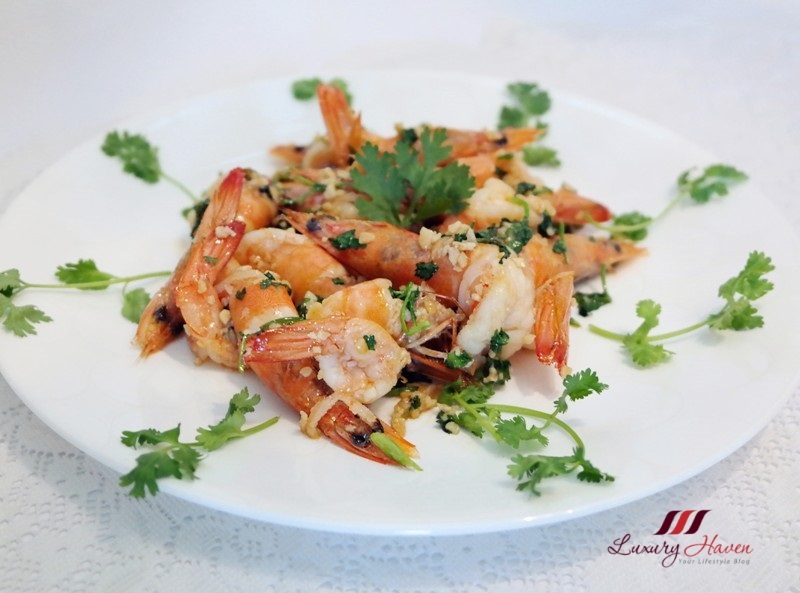 Very inviting prawn dish! So that's how to get crunchy succulent prawn - thanks for the tips. 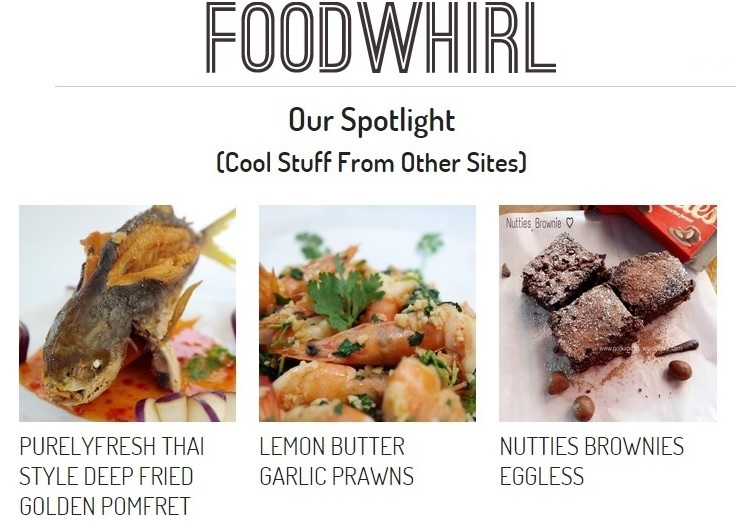 Wow, these prawns look delicios!!!!! What a heavenly dish,Shirley!!! YUM! Adoro el marisco...que plato tan maravilloso,me ha encantado!! Awesome! I like the detailed description of soaking the prawns into chilled baking soda mixture, i tend to ignore this step! haha! 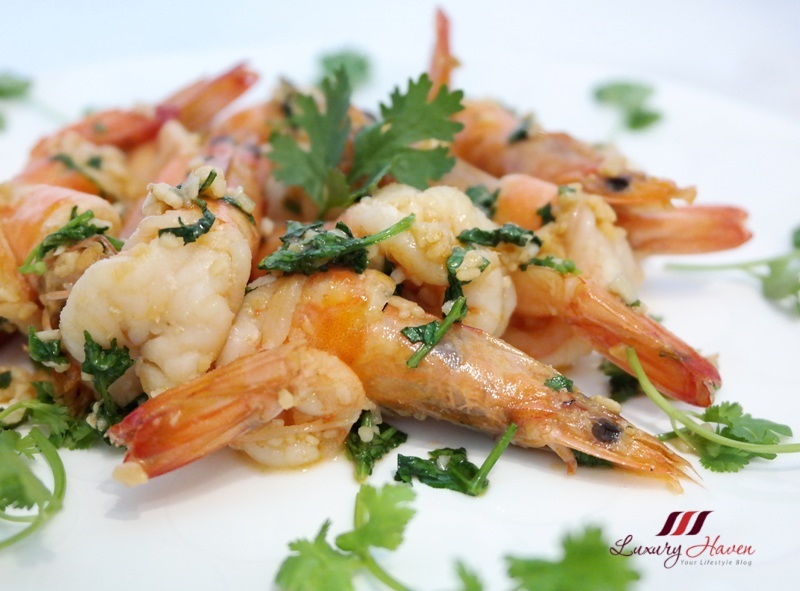 Fresh prawns always the best and the flavour of lemon butter makes it sounds "PERFECT!" You have cooked this prawn dish very well... The prawns look so fresh! Sad that the prawn allergy me can't handle fresh prawns!!! Sob! sob! Killing me softly with the deliciousness. Truly loved. Oh gosh this looks delicious! Shirley this is too cute, we had thse garlic prawns yesterday, cool, huh! They were delicious, I can smell them almost again, lol. Happy new week, my blogger friend. I'm already salivating..lol Looks yummy! All the food looks great. Thanks for sharing and happy Monday! I have to pass this to my mum. She loves her prawns! 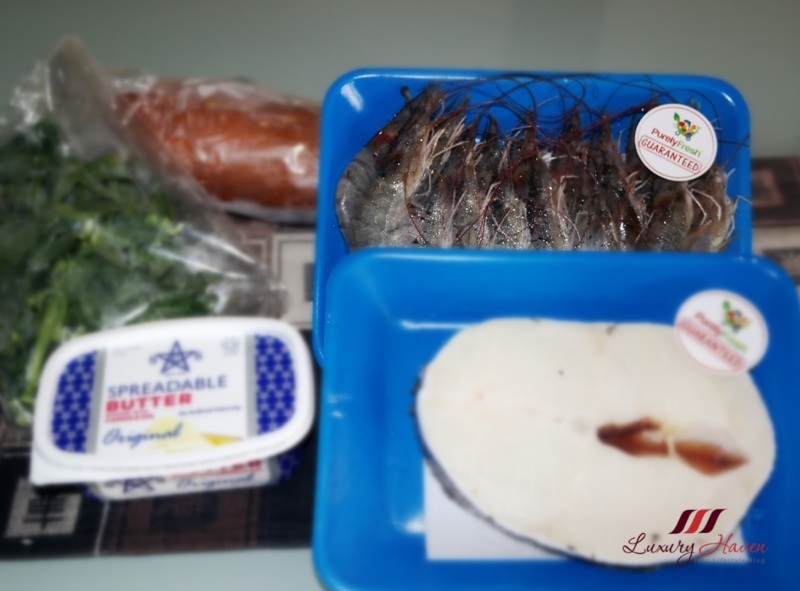 so convenient to shop from online store, simply delicious prawn dish..we eat prawn occasionally can't afford to add more cholesterol. These look absolutely delicious Shirley! I'm a huge fan of prawns in all styles of cooking and I totally am inspired to do something like this! My boyfriend and I love making chilli garlic oil in the oven, baking it submerged in olive oil and I think I'd give the prawns a good fry on the outside as I love eating crispy shells! I love this recipe!! I cannot wait to cook it myself. Easy and delicious recipe I will try it. Prawns are my favourite food! I want to eat some now after reading your post. So delicious! you are such a good cook. OMG this recipe it's amazing! I love seafood and this dish looks amazing! you really are an artist in the kitchen. simple yet look so delicious ;) would like to try them out. I don't like crunchy prawns so I will omit the soaking in baking soda step. I like to eat succulent and juicy prawns. Thanks for sharing this recipe! I'm a seafood addict and would love to try this as it looks so delicious, thank you for sharing!